Women's Tree And Bird Necklace Just $9.99! Down From $99.99! Ships FREE! You are here: Home / Great Deals / Women’s Tree And Bird Necklace Just $9.99! Down From $99.99! Ships FREE! Women’s Tree And Bird Necklace Just $9.99! Down From $99.99! Ships FREE! Tanga has this Women’s Tree And Bird Necklace on sale for $9.99 (Reg. $99.99)! 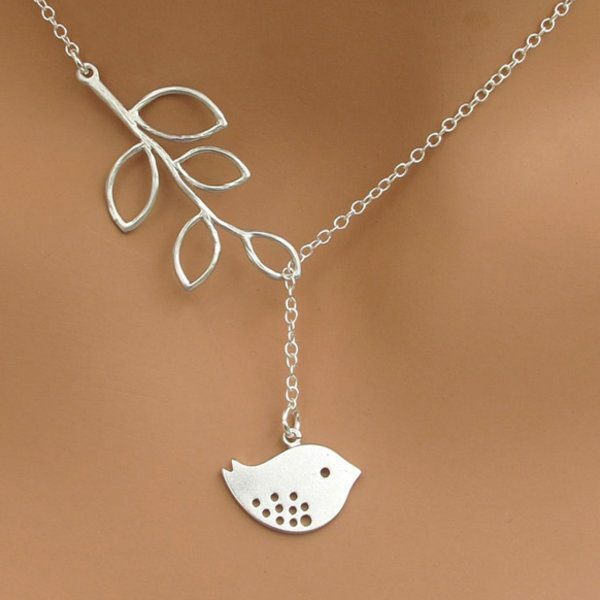 This bird and tree necklace will add a stylish touch to any outfit. Simple but with a trendy design, this necklace is made with 14k white gold plated brass and features an adjustable chain.